Some researchers have started to investigate if younger siblings do better than older siblings. The theory being that younger siblings play, and therefore to keep up, with their older brothers or sisters. As a result, they consistently stretch themselves, accelerating their learning, development and performance. 1. 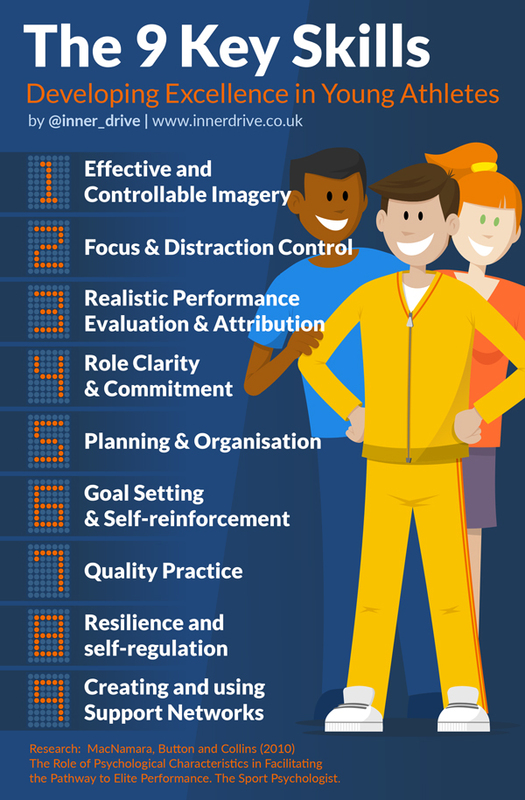 Imagery – Picturing successful futureperformances can help young athletes prepare and perform more effectively. This can be worked in to part of a pre-performance routine and can help give you a sense of certainty over the situation. This sense of certainly can help improve confidence and is a great technique as it can be applied to any situation where athletes may feel nervous or stressed. 2. Focus and Distraction Control – Elite athletes often use pressure to their advantage. As a result, this pressure aids their focus. The ability to recognise and eliminate distractions is easier said and done, but is such an important one for athletes to master. We advise all of the athletes and students we work with to identify what they can control, and to concentrate on that. 3. Realistic Performance Evaluation and Attribution – Blaming others for your failures can provide a short term relief by helping you maintain your self-concept. But long term, this is not a good formula to help you develop. 4. Commitment – ‘There are no shortcuts’. This is the title of one of the best books we’ve ever read about education. This is also true in chess (it takes chess players, on average, over 750 games before they reach their highest ranking), and it is certainly true in sport as well. This may be one of the hardest topics to teach someone (maybe even impossible?). 5. Planning and Organisation – Man Utd legend Eric Cantona once said ‘Preparation is everything….it’s easy to battle it out on the pitch and then say ‘I gave it my all’. The point is that if you had prepared carefully, you would have had more to give and you’d have played better’. To become the best, it requires a lot of dedication and motivation. 6. Goal Setting and Self-reinforcement – Goal setting has been used extensively over the years to help athletes stay motivated and on the right path to success. If done right, it can help develop skills, confidence and concentration. 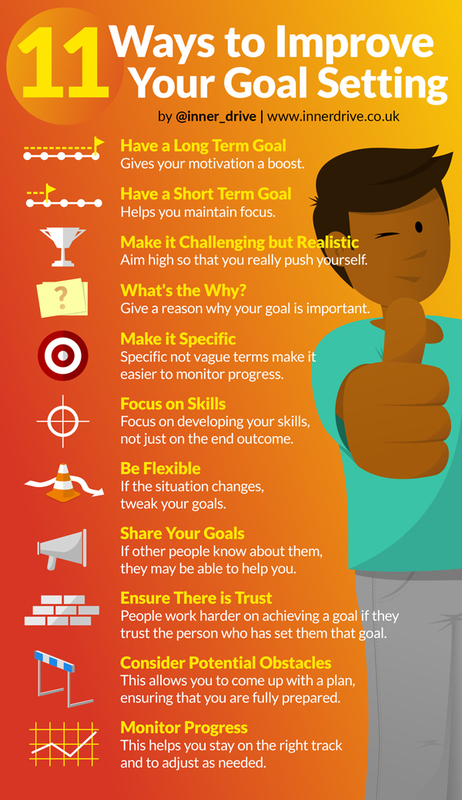 To make sure you are setting goals effectively, have a look at our blog on “How to do Goal Setting Right”. 7. Quality Practice – It’s not just working hard, but working smart that counts. There is a big difference between just turning up for training and really dedicating yourself once you are there. The former is just going through the motions. The latter gives you a better chance of getting better. A key part of this is to not just keep practicing the skills you can do, but also practice the aspects you struggle with. 8. Resilience and Self-Regulation – Resilience is a popular topic. It gets discussed frequently in both the sport and education world. In the quest for excellence, there will inevitably be highs and lows. How do elite athletes develop this resilience? Viewing decisions as active choices and not sacrifices, using support networks (see the next point below) and taking responsibility for your thoughts, feelings and behaviours are all important ways to develop this skill. 9. Creating and Using Support Networks – Having a good team around you can help. We believe that teams achieve more than individuals. This is especially true in elite sport. This can include tactical, technical, social and emotional support. Some athletes may think asking for help is a sign for weakness. The reality is, it is a sign of strength and can play a key role in their development. his research. Also many thanks to Kate Lord on our research team, for helping us write this blog.